Red chalk, 12 x 9. Inscribed in the upper right corner: 346. Ferri, 1890, 71, as Franciabigio. Berenson, 1938, 1961, no. 748, as Franciabigio. Marcucci, 1958, 27-28, 30, Fig. 4, as Bachiacca. Carroll, 1964 (1976), I, Bk. I, 1-5, Bk. II, 178-179, D. 2, Bk. III, Fig. 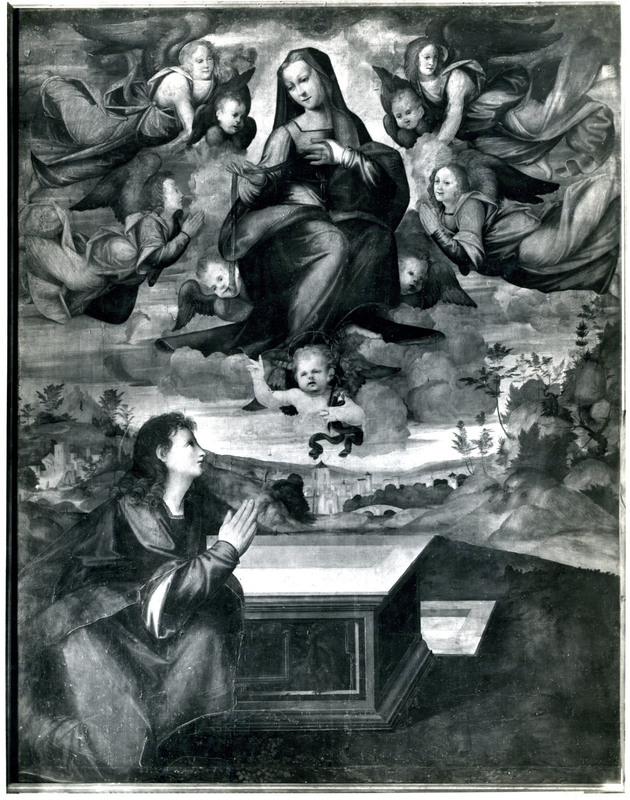 3, as Rosso, around 1512, and a copy of a figure in Fra Bartolommeo’s Noli me tangere drawing in the Uffizi (484E); “Addition to the Preface,” 1976, vii, as not by Rosso. 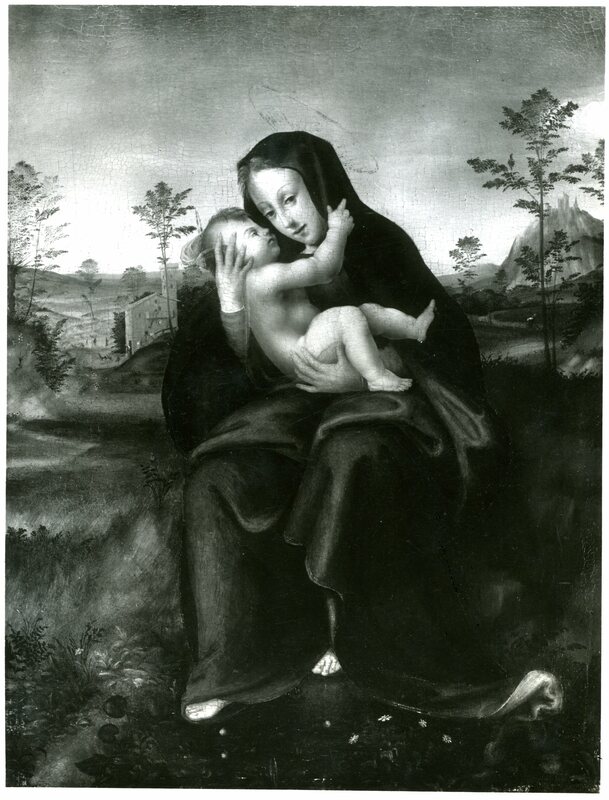 McKillop, 1974, 225, as not by Franciabigio, but very close to Fra Bartolommeo and perhaps a study for his Noli me tangere in the Louvre; by the same hand as Uffizi 446S [RD.15]. Fischer, 1986, 156, under no. 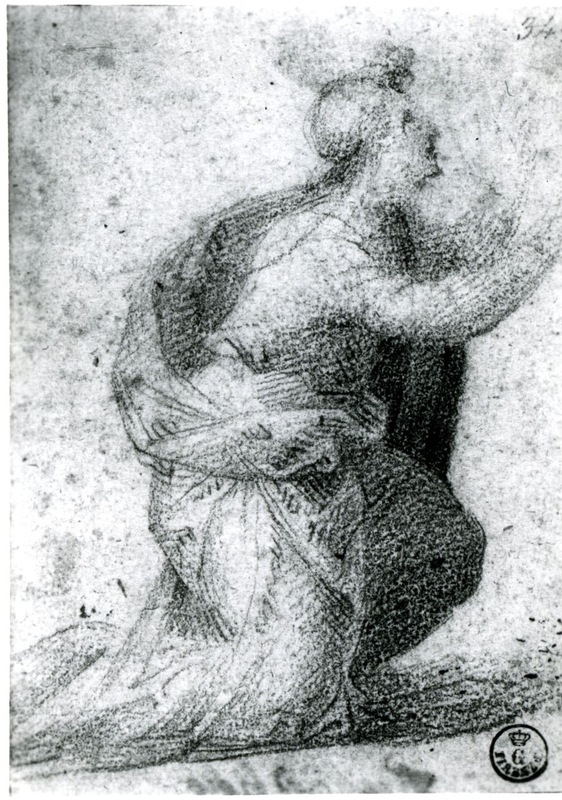 97 (wrongly as 347E), as Rosso’s copy of Fra Bartolommeo’s drawing (see above). Fischer, 1989, 341, n. 70, as not by Rosso. 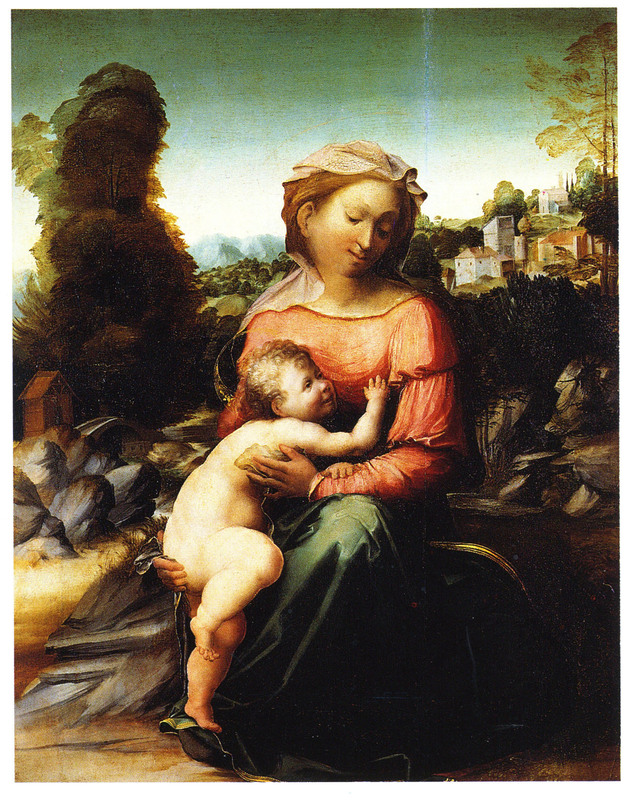 Florence, Figura, 1, 1991, 346F, with Fig. and bibliography, as Franciabigio? 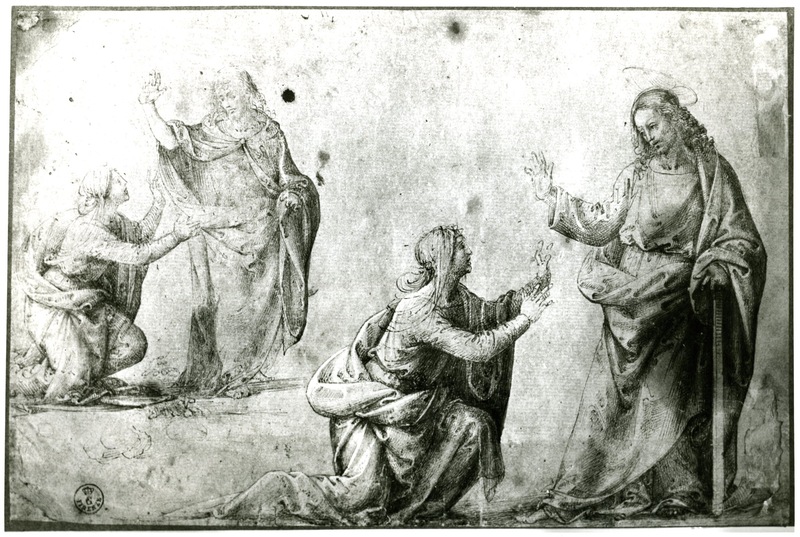 This drawing is related to the upper left figure of the Magdalen on a sheet of two studies by Fra Bartolommeo in the Uffizi (484E recto) for a Noli me tangere (Fig.RD.5, pen).1 My attribution of the drawing to Rosso in 1964 was based on its similarity to Uffizi 446S (Fig.RD.15) that is also related to a drawing by the Frate, and, in turn, on that drawing’s stylistic similarity to several works, the Madonna della Cintola in Rome (Fig.RP.21a), the Madonna and Child at Bucknell (Fig.RP.11), the Madonna and Child from the Uffizi (Fig.RP.6a), and the Holy Family in Rome (Fig.RP.20a), which I, and others, attributed to the early Rosso but which are now generally conceded to be by the Master of the Kress Landscapes. There is no reason now to recognize the Draped Kneeling Woman as Rosso’s. 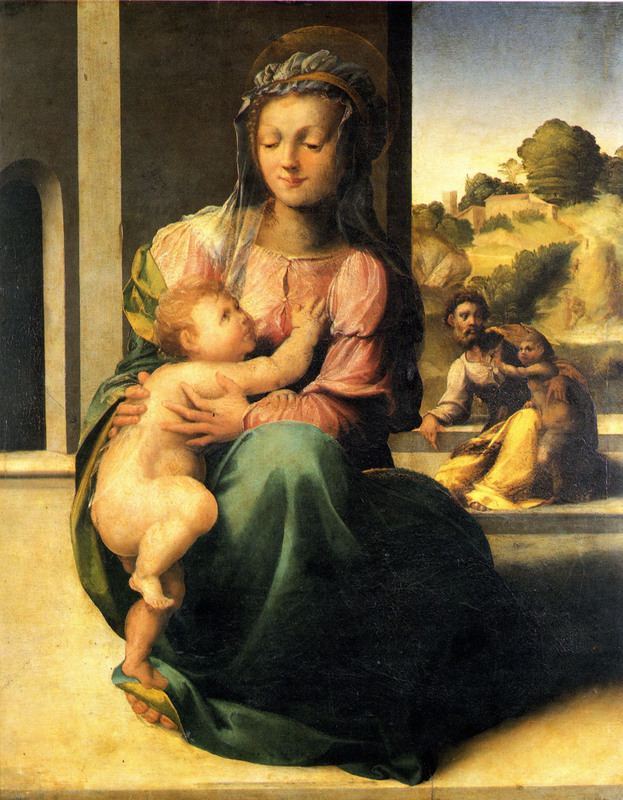 McKillop denied its earlier attribution to Franciabigio and thought it close to Fra Bartolommeo. 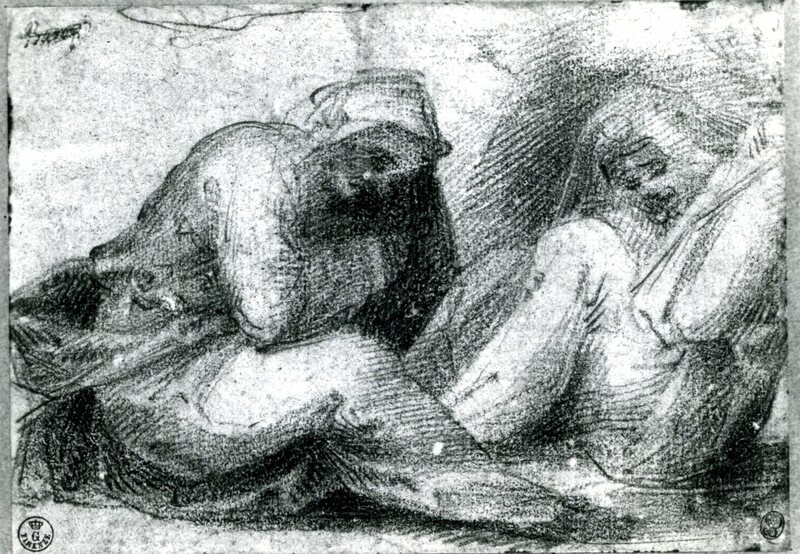 Given what may still be recognized as a stylistic relation to those paintings that had been attributed to Rosso, there may be some point in thinking about the drawing as connected to the Master of the Kress Landscapes, identified by Waldman, 1998, as Giovanni Larciani. While the drawing is closely related to Fra Bartolommeo’s Magdalen in Uffizi 484E, it is not meticulously copied from it and could be derived from another of the Frate’s drawings for this figure. 1 Fischer, 1986, 62-63, no. 23 recto, Fig. 31, with bibliography.